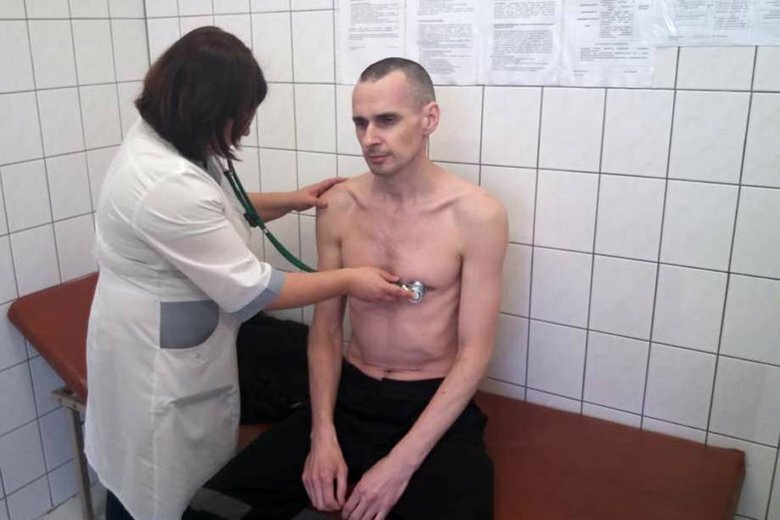 Russian newspaper Novaya Gazeta published a hand-written letter from Oleg Sentsov saying he had taken the decision to end his hunger strike because force-feeding was being planned due to the “critical condition and pathological changes” in his body. “My opinion is not taken into account,” said Sentsov, who was sentenced to 20 years in prison in 2015 for conspiracy to commit acts of terrorism, charges he has denied. Sentsov was one of the most vocal opponents of Russia’s annexation of his native Crimea in 2014. The letter’s authenticity was confirmed to The Associated Press by Sentsov’s lawyer Dmitry Dinze, who had handed it to the newspaper. Earlier, Russia’s Federal Penitentiary Service said Sentsov had unilaterally decided to stop the hunger strike that he started in May to protest against incarceration of dozens of Ukrainians in Russia. Tass news agency quoted the service’s deputy director, Valery Maximenko, as saying Sentsov had accepted the pleas of prison doctors and his lawyers to stop the hunger strike. Sentsov’s lawyer said last month that the hunger strike has irreversibly damaged Sentsov’s health. Sentsov has described his prosecution a political vendetta. Prominent political and cultural figures around the world have campaigned for his release.